Vibrant Winter Slaw with Citrus Vinaigrette ~ a healthy low calorie side dish salad packed with vitamins, minerals, and lots of fiber. Make the dressing first. I like to put all the ingredients in a mason jar, screw the lid on tight, and shake shake SHAKE! The shaking will emulsify the dressing, making it creamy. Once emulsified, it shouldn't separate into oil and vinegar. Taste to adjust any of the ingredients to your liking. Toss the shredded veggies together in a large bowl and add enough dressing to moisten. 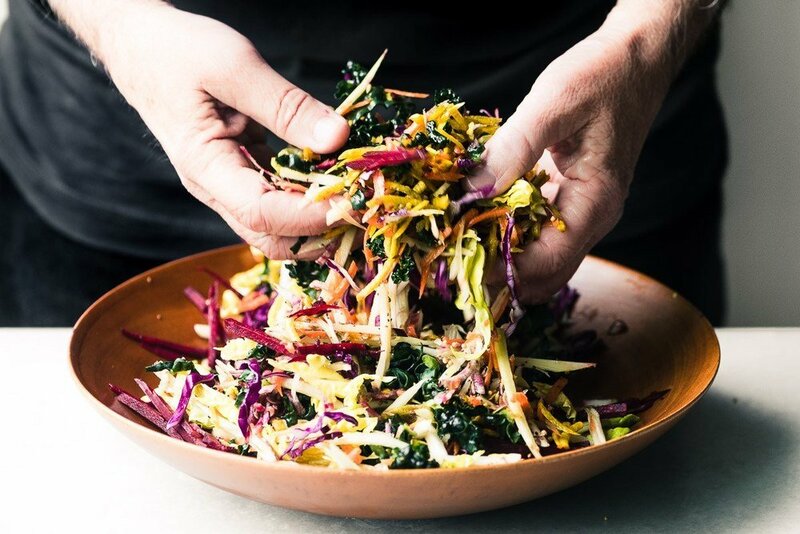 You can refrigerate the slaw several hours before serving if you'd like. Season with salt and pepper and add more dressing to taste just before serving.